Leicester’s season was never going to be the stuff of dreams, but it’s fair to say many will look back on the Foxes’ campaign with disappointment. The way the players have conducted themselves has been the main talking point in the post-Ranieri era at the King Power. The popular Italian was sacked in February, and with him went many fans’ last hopes of loyalty and decency in the game. With the fairytale officially over – they can no longer call themselves champions after Chelsea were handed the crown on Friday night – it would come as no real surprise if they were to lose a few of their former heroes. N’Golo Kante was the only huge player to depart last summer, figuratively speaking, of course. The diminutive midfielder’s absence has been felt in the heart of the Leicester side, but they have found consolation in the fact that they still had their prized attacking duo, Riyad Mahrez and Jamie Vardy. However, that could be about to change. It remains to be seen what comes of Mahrez, but Sky Sports are reporting what could be an interesting development in Vardy’s extraordinary career path. From non-league to the Premier League, to La Liga? It appears that could indeed be the case for the 30-year-old, who is allegedly being eyed by Atletico Madrid. Diego Simeone had a chance to take a good look at him during the Champions League quarter-finals, and the Rojiblancos are impressed. It’s stressed that the two clubs haven’t yet spoken about a potential deal, and the extent of their interest is reported as simply “admiration”. Still, Vardy is a player Simeone likes and one whom it is not impossible to picture in the Atletico set-up. Perhaps Atleti are really just a more glamorous version of Leicester, and should they lose Antoine Griezmann, they may be resort to an even more direct brand of football. Beauty lies in simplicity, so they say. 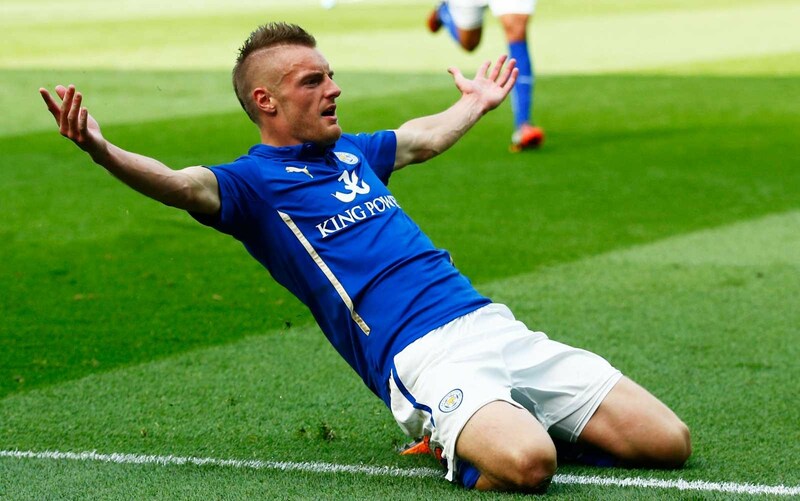 For now, Vardy is committed to Leicester having signed a new deal last summer when Arsenal came calling.